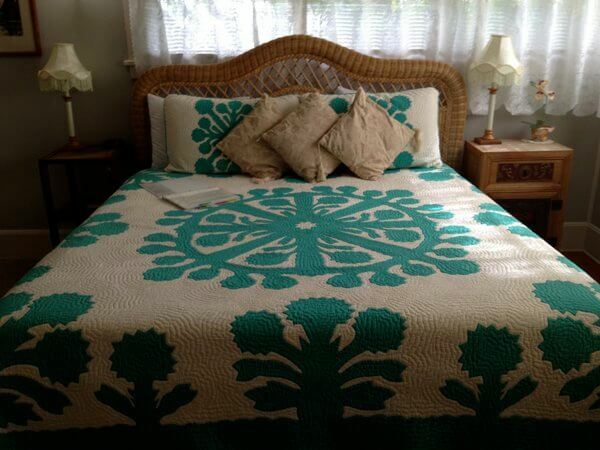 Why stay in an in-town B&B on Maui when the island has so many fantastic beach resorts? 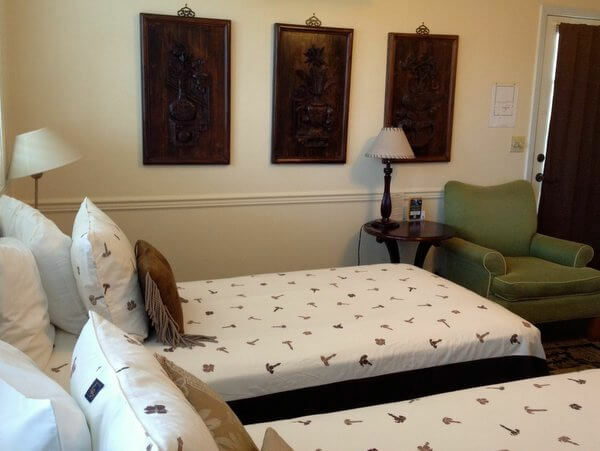 At the Old Wailuku Inn, a well-managed and centrally-located B&B, you get modern rooms decorated in traditional Hawaiian style, lots of advice about things to do from the welcoming hosts, and great breakfasts. Did I mention the excellent breakfasts? The Old Wailuku Inn’s personable owners, Janice and Tom Fairbanks, were both born and raised in Hawaii, where Tom went to work in the hotel industry and Janice joined the non-profit world. 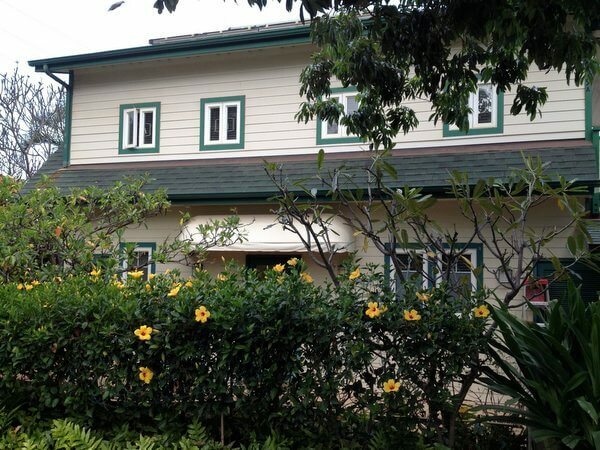 In 1995, they purchased this historic 1920s home just off Wailuku’s High Street. They opened the Old Wailuku Inn, after extensive renovations, in 1997. 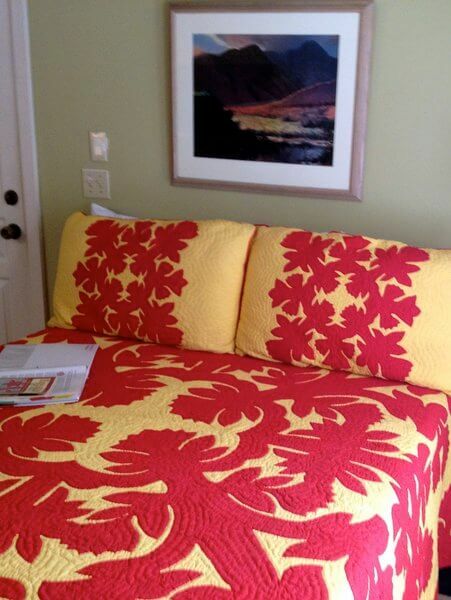 The main inn building houses seven guest rooms that all feature brightly colored Hawaiian quilts and classic Hawaiian furnishings. The four upstairs rooms are more spacious; on the lower level, the rooms are smaller, but two have their own private patios. All the guest rooms have private baths, air conditioning and ceiling fans, and TVs. On the second floor of the main house, guests can lounge in the airy sitting room, although most seem to gravitate out to the comfy chairs on the spacious lanai, the large front porch. Across the parking lot from the main inn, nestled behind flowering bushes, Vagabond’s House — a separate cottage that opened in 2002 — houses three additional guest rooms, one on the ground level, with two upstairs. The Vagabond’s House rooms feel a bit more modern, with flower-inspired textiles and Asian antiques. Like the main house rooms, the Vagabond’s House units have private baths, air conditioning and ceiling fans, and TVs. Wi-Fi works well throughout the property. A hearty breakfast is served promptly at 8am around a big table in the window-lined dining room. The first course is typically fresh fruit, often locally-grown pineapples, papayas, or mangoes. One morning, I was lucky enough to sample a slice of creamy, sweet cherimoya. The main course alternates between sweet and savory offerings, again featuring local ingredients whenever possible. 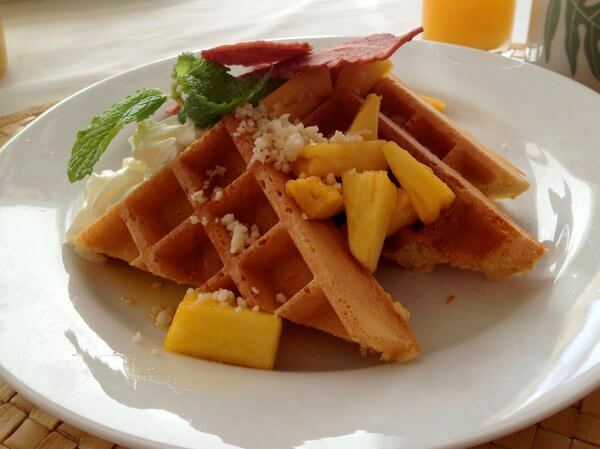 On my first morning, it was fluffy Belgian waffles topped with fresh mango. I loved the unusual coconut syrup that accompanied my waffles; regular maple and Hawaiian-made lilikoi syrups were also on the table. 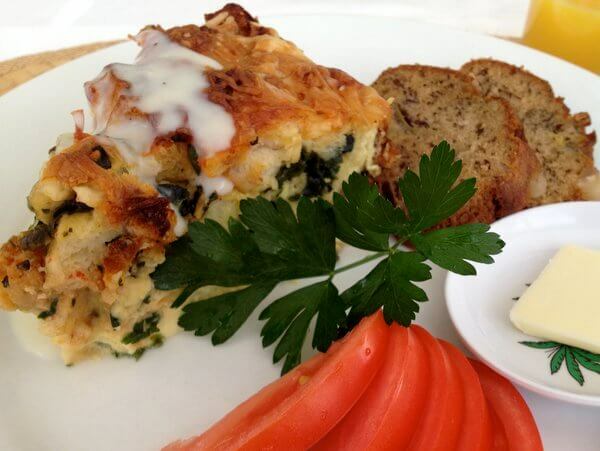 Another morning, the main dish was a hefty slice of spinach and cheese strata, served with banana bread. If you’re heading out earlier than 8, let the staff know, and they’ll set out a Continental breakfast for you. Each guest room has its own coffee pot, too, but fresh coffee is always brewed and set up in the dining room by 7am. You can help yourself to tea, cold drinks, and snacks at any time, or store your own nibbles in the dining room refrigerator. Guests can use the microwave in the dining room as well. The Old Wailuku Inn is located in the town of Wailuku in Central Maui, about a 15-minute drive from the island’s Kahului Airport. The town is full of small inexpensive eateries that reflect Maui’s multicultural population; I enjoyed the Vietnamese fare at Saigon Cafe, the downhome Korean dishes at the old-style Tiffany’s Bar and Grill, and the sweet manju and fresh-from-the-fryer malasadas at the Home Maid Bakery. You can also stop in for lunch or tapas at the more upscale Main Street Bistro (don’t miss the ahi cones, fresh raw tuna in crisp asiago cheese wraps). Just outside Wailuku is Iao Valley State Park, where the rainforest trails lead to the much-photographed 1,200-foot Iao Needle. From Wailuku, you can be Upcountry to the funky town of Paia (which has several great beaches) in about 20 minutes, and you’re much closer to Haleakalā National Park or the Road to Hana than you’d be from the West Maui resorts. Double room rates at Old Wailuku Inn range from $165-195, including parking, Wi-Fi, and a full hot breakfast. Of course, at the Old Wailuku Inn, you’re not right on one of Maui’s powdery sand beaches. But the rooms at this friendly B&B are comfortable and reasonably priced, and you’ll start your day with an excellent breakfast. Did I mention the delicious breakfasts? Hotel review by Vancouver-based travel, food, and feature writer Carolyn B. Heller, author of the new travel guide, Moon Handbooks: Ontario. Photos © Carolyn B. Heller. The Old Wailuku Inn, in conjunction with the Maui Visitor’s Bureau, hosted my stay for review purposes.